The Latinx community’s relationship with voting is shaped by barriers such as identity and culture. For example, political ideologies Sets of beliefs that people use to make important personal and political decisions held by the Latinx community cover a wide range of both conservative and liberal values because of the different cultures they combine. Therefore, there are often large political differences between major groups within the Latinx community. Acculturation The changes that occur in a culture from contact with another, usually leading to people “straddling” more than one set of cultural ideas and assimilation The process by which an individual’s or group’s language and culture come to resemble another group, often a more dominant or colonizing group deeply affect the Latinx population, especially between different generations. Acculturation involves maintaining the culture brought from a home country, while accepting and absorbing some level of culture from the new nation. On the other hand, assimilation is a more wholehearted embrace of the new nation’s culture, often leaving behind and excluding the first culture. This interaction of two or more cultures is often seen in individuals, but it is best seen across generations. Where the first few generations might have endured acculturation, later generations of the same family are more likely to have experienced assimilation. When thinking about the Latinx population, we should also consider that Latinxs might be at a different stage of acculturation or assimilation from each other, affecting many aspects of culture such as language, tradition and food. These processes affect civic engagement because not all Latinxs identify with the social and political issues affecting the Latinx community as a whole, or some might not feel the same level of connection to the group. As of 2012, there were 6,124 Latinx Americans in elected or appointed office throughout the U.S. 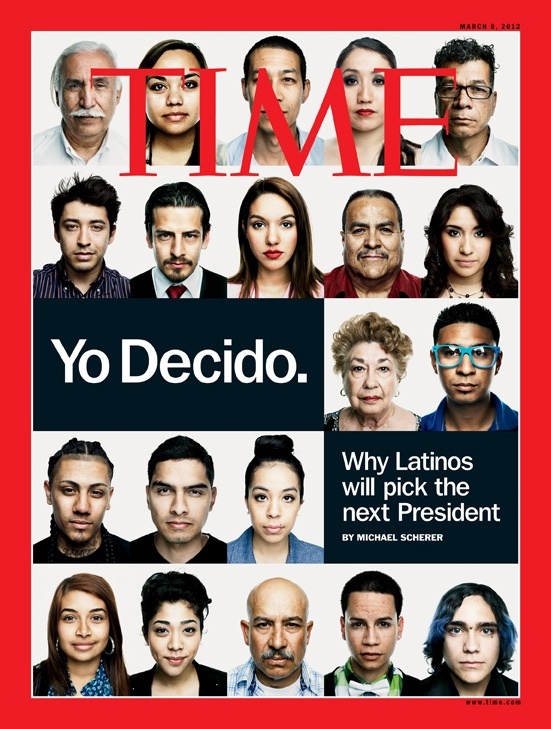 This was a massive leap from just 3,743 Latinx Americans in the same offices almost 20 years earlier. This impressive growth reflects both an increase in the Latinx population and a rising number of registered voters. This growth is a work in progress, as the community is still underrepresented. Voter turnout across all communities is low, and this includes Latinxs. Nationally, 11% of eligible voters Any citizen over the age of 18 that is not barred from voting due to a felony conviction or a specific disability. This does not mean that these people are registered to vote are self-identified as Hispanic in census data, but only 27% of eligible Hispanic voters participated in the 2014 elections. The “sleeping giant” is a phrase that is often attributed to Latinxs and refers to the potential of the Latinx vote. The Latinx vote is considered a “giant” because in recent years Latinxs have accounted for nearly half of the total U.S. population growth. However, the population is considered “sleeping” because — despite the increase in population — Latinx political engagement remains lower than a number of other racial and ethnic groups in the country. In order to have Latinxs and issues pertaining to their communities adequately represented in government and policy, community mobilization Working in a neighborhood or other community to increase voter registration rates and turnout on election day is essential. Latinx voter turnout increases when Latinx community leaders and people who are informed about a topic actively recruit and encourage voter participation.